We operate with transparency. If there’s a problem you need fixed, we’ll tell you about it – but we refuse to take advantage of people to make a couple of bucks! Cantin Chevrolet invests a significant amount of money and time in continuing education and training. Technicians are Chevrolet certified and receive ongoing, weekly factory training. Technicians are tested on the latest technology and trained to work specifically on your vehicle. 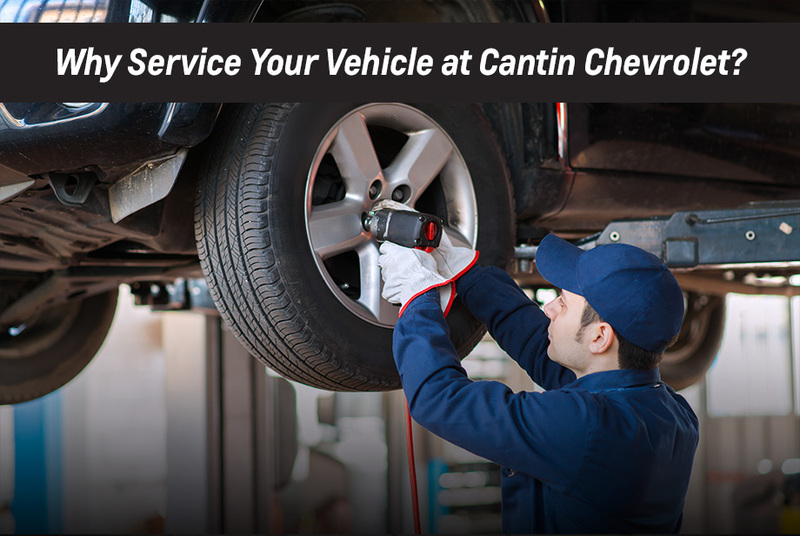 Cantin Chevrolet has the most sophisticated diagnostic equipment offered. We invest in the right tools, hardware, software and computer equipment . . . and the training of the staff with the equipment . . . to make sure your repairs are done correctly the first time. Cantin’s is proud to offer the convenience and comfort of our new Customer Lounge and Business Center. Complete with customer work desk, high top tables, USB and power charging stations, high speed WI-FI, complimentary coffee, bottle water and snacks. Wide screen T.V. No one likes to wait for anything. If you are waiting at Cantin Chevrolet, we want to make it as comfortable and productive as possible. Forget something to make your time more productive (Highlighters, pens, paper, charger cords, etc.)? Please ask and we will do all we can to accommodate! Cantin Chevrolet has access to daily bulletins with updates about your vehicle. We make sure all applicable repairs are covered if the vehicle is still under warranty. Not only are smaller shops not able to do warranty work for free, but the work that they do to your vehicle may actually void your warranty. Cantin Chevrolet offers extended warranties for both new and used vehicle, offering a greater peace of mind. Competitive pricing on everything from batteries and brakes to tires and other repairs. Why? Because our customers demand it and quite frankly . . . Deserve it!